Hello All ... The shack consists of a Yaesu FT-1000MP, Alpha 8410 amplifier, and a Palstar antenna tuner for HF, an Icom 910H for VHF/UHF. Outside there is an inverted L for 160,and a inverted L for 75,and homebrew GAMMA fed vertical for 40 meters. I also added a full wave beverage for 160. It also works great on 80/75 and 40. On the tower a Innovoantenna 6 element 6 meter yagi, and 4 element mono-band beam for 20 meters. I run digital modes and have a second HF rig an FTDX-1200 dedicated for those modes and 6 meters. I would like to pull together the hardware to run some EME on 2 and 70 in the future. I enjoy 160,75,40 meters, as well as 15 and 10 when atmospherics permit. It is mostly a winter hobby for me. Bluegrass and traditional music,( I play guitar and a little mandoline), golf and shooting sports take up the summer. I taught the electronics programs at the local vocational school and community college, and now work at the Intermediate School District as the computer network administrator and telecommunications technician to pay the bills. My wife is also an amatuer, W8AMA. My present radio goal is WAS on 160, only need Alaska to complete it. The kids are grown and married and I now have four granddaughters and one grandson. My son-in-law Mike got the bug and is now an Extra Class WY8F, my daughter Anne just got her vanity call K8AKO. The current building project is a pair of 3-500Z's on 6 Meters. I am a Vietnam era vet, I was in the USAF, and the Michigan Air National Guard. 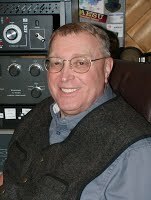 I am the State Youth Coordinator for the ARRL Michigan Section, a VEC, and Vice president of the Michigan QCWA Chapter 10. First place, Michigan Section, CQ World Wide 160 Meter SSB multiple operator 4 times.